CanMinimize - this value enables only the minimizing. The maximizing and the resizing of the RadWindow are disabled. CanResize - this is the default value and it allows the RadWindow to be resized, minimized and maximized. NoResize - this value disables the RadWindow form being resized, minimized or maximized. Here is an example of a RadWindow that can be resized, minimized or maximized. It's not a good practice do declare your RadWindow as visual element in XAML. 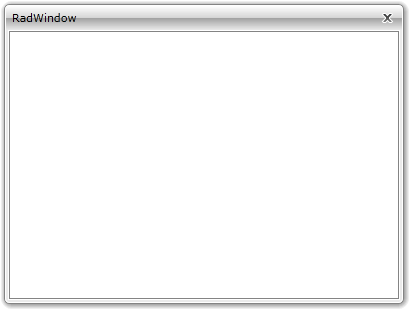 The only scenario, when it is meaningful to use the RadWindow in XAML, is when it represents the entire user control. To learn more about that read here.